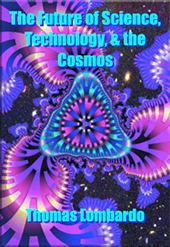 The Future of Science, Technology, and the Cosmos covers a set of related themes regarding the future of science, technology, the exploration of the cosmos, and the effects of all these developments on the future of nature and humanity. Examined in succession are theoretical science and cosmology; energy, resources, and physical technologies; information technology, robots, AI, and computers; nanotechnology; genetics and biotechnology; ecology and ecological engineering; and space travel and the exploration of the cosmos. Different contemporary views and trends for each area are described and evaluated. One main hypothesis of this book that the history and future of humanity should be seen in an evolutionary context. Evolution provides a scientifically grounded, positive mindset for our future. It supports an attitude and set of values that give us realistic hope and optimism about tomorrow. Moreover, evolution provides a general scientific framework for understanding the entirety of the universe from the microscopic to the super-galactic, covering the inorganic, all forms of life, and all aspects of human reality from mind, self, and consciousness to art, technology, and culture. Especially within the last century, our basic scientific mode of thinking about nature, human society, and the human mind has changed dramatically. Science has evolved. Aside from the emergence of an evolutionary perspective on nature where everything increasingly is seen as fluid and changing, nature appears to be a much more interdependent and interconnected network than previously believed. We cannot understand the world and our future as a set of distinct and separate entities. The principle of reciprocity captures this new philosophy and science of interconnectedness, providing a new way to understand both reality and our involvement in the creation of the future. Reciprocity is a central idea within modern scientific theories of open systems, order and chaos, quantum physics, biology, ecology, and the evolution of history and time. Evolution and reciprocity describe fundamental features of reality, nature, and humanity. These ideas contrast with dualistic and static views that have dominated much of human thinking in recorded history. Evolution and reciprocity describe certain general parameters on how the future will develop. These two ideas help us to understand both history and time. Evolution and reciprocity can provide an informed, holistic, and realistically optimistic way to approach, guide, and create the future. This entire book is available online; see chapter links below.